Other inheritance scenarios include agency or departmental-level policies or procedures that can be leveraged by all IS within the organization, organizationside security monitoring capabilities, public key infrastructures (PKI), etc. Organizations implementing common controls are referred to as Common Control Providers. It is possible for an IS to inherit just part of a control from a Common Control Provider, with the remainder of the control provided within the system boundary. This is referred to as a hybrid control. 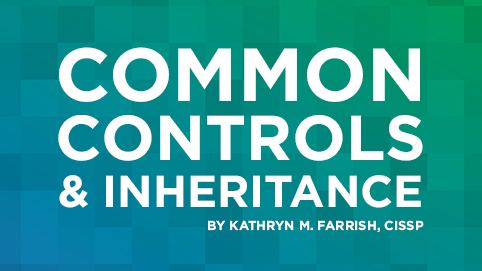 Also, it is possible for an IS to inherit a control from two or more Common Control Providers. For example, an IS whose system boundary spans multiple sites (i.e., a primary site and an alternate processing site) will most likely inherit physical and environmental security controls from the data center providers at both sites. Prev:FAQ: How Comprehensive is your RMF for DoD IT Course?